Published May 2, 2018 at 12:08 a.m. Updated May 4, 2018 at 11:58 a.m.
Brogan Todd, Volney Rogers Elementary kindergarten teacher, was named Youngstown City Schools Teacher of the Year for 2018. 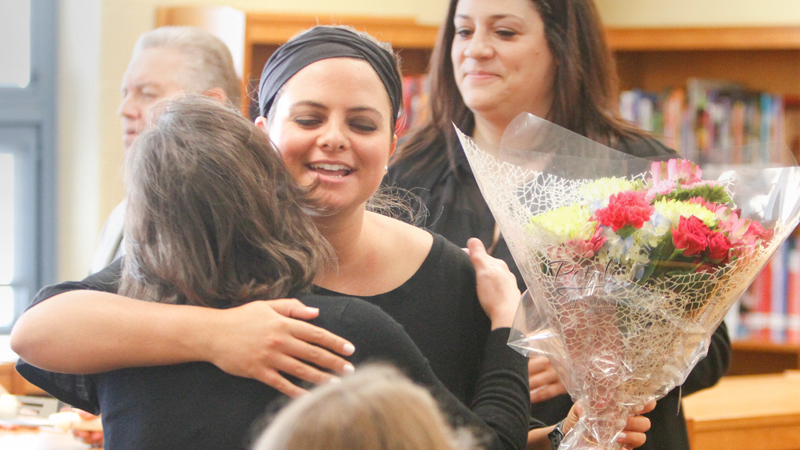 Each year, district principals nominate a teacher from their respective buildings. A committee of educators interviews the nominees and observes them teaching in their classrooms before selecting the winner. Instructional coach Jodi Kosek said Todd is a natural at what she does. That’s something second-grade teacher Cerise Mills said is Todd’s mantra. Todd of Canfield has been teaching for two years. She was a fifth-grade teacher at Paul C. Bunn Elementary last year. “She has this amazing balance of being firm and having expectations for her students,” Kosek added. And the best part of Todd’s accomplishments is the love her students have for her. All of this year’s nominees will be honored at a dinner Tuesday at the Mahoning Valley Historical Society’s Tyler History Center-Thomas Ballroom. May 1, 2018 9:33 a.m.
March 15, 2011 12:09 a.m.
April 7, 2016 12:05 a.m.